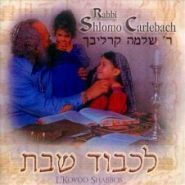 In honor of her father’s 23rd Yahrzeit this Sunday, Rabbi Shlomo Carlebach’s 2nd daughter, Dari, shared the unusual story her birth with Nashim magazine. “I was born in New York in 1977. My mother came to the hospital for a test, and they told her she was staying because she was already 8 centimeters, even though she said that she didn’t feel anything. “Suddenly everything went black, all of New York was cut off from the electrical grid and there was total darkness. It was really scary. “She managed to give birth in 45 minutes, she didn’t even make it to the delivery room, she gave birth in the hall, in total darkness, in all this chaos, and after I was born the lights turned right back on. “Afterward they said on the radio that I was the first baby born during the big New York City blackout. When I read this story I thought how, like Dari’s mother told her, every baby comes into the world with a secret, a unique soul that she will share with the world, to light a candle in the darkness, like the night Dari was born.